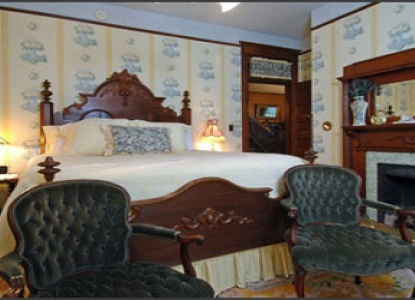 Located on the first floor, The Wright Suite is a large guestroom with a carved mahogany king-size bed across from a warm, radiant fireplace. 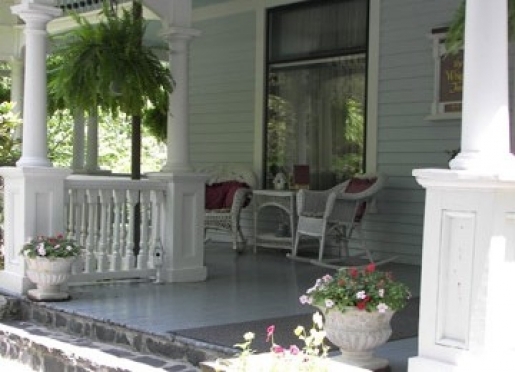 The bathing facilities offer a combination of tub and shower and you have the distinct advantage of having breakfast served in the privacy of your own breakfast room, which is adjacent to the gazebo front porch. 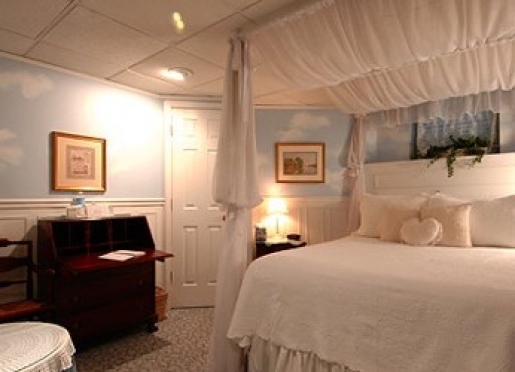 This room is loaded with intimacy and is designed to spoil those who deserve to be! 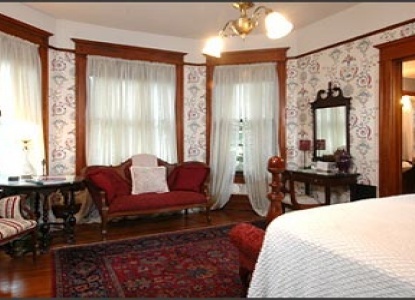 Furnishings in this room include a fainting couch, 2 "period" armchairs, writing desk and several large, elegantly draped windows. 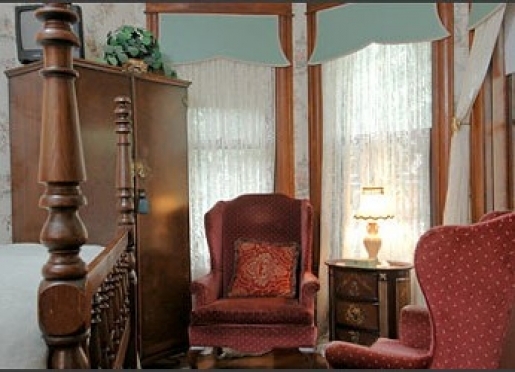 Located on the second floor, The Green Room has a high queen-size bed with step stool, private bath with shower, decorative armoire, dresser, large bay window, private 2 person balcony/porch, and two wingback chairs, which create a warm cozy reading alcove. 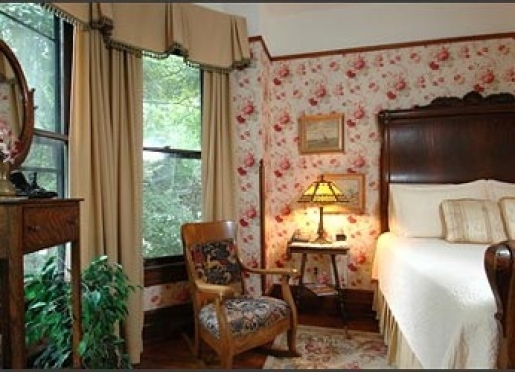 This room provides many special memories and sits out over a glorious view of the gardens. 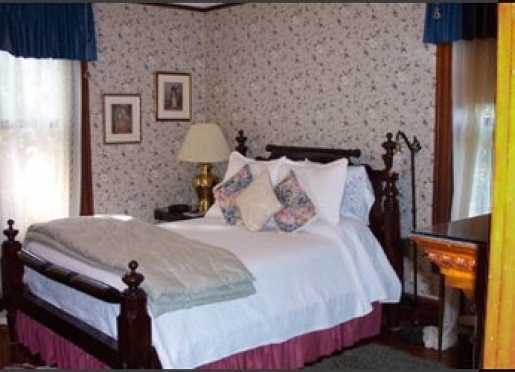 Located on the second floor, The Wilkinson Room is an intimate corner room equipped with a fireplace, carved mahogany king-size bed, and private bath with shower. 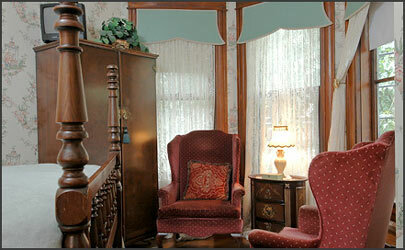 The furnishings include an upholstered chair, a desk and windows on two sides of the house. 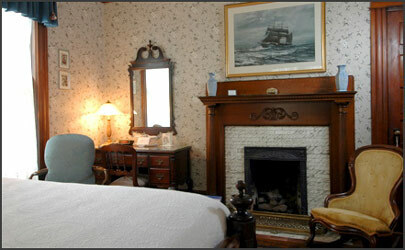 This room has continued to please its visitors who travel from afar and is one of our most popular rooms. Located on the second floor, The Griffin Room is named after the talented architect who restored this beauty to what it is today and this room pleases the most discriminate member of any party. This room is rich in its decor scheme, blending shades of gold and rose to create perfect harmony. 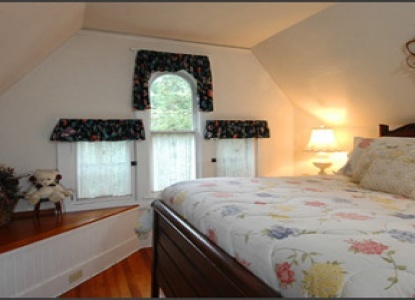 The tiger sleigh queen-size bed and triple windows create a lasting impression. 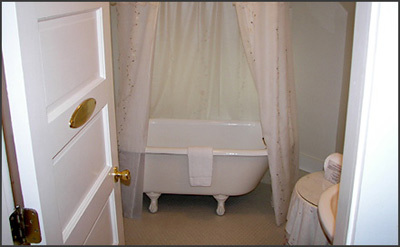 The private bath is large for its day and complete with shower. 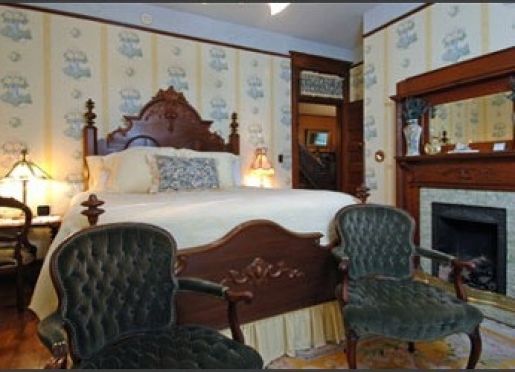 Located on the second floor, The Powell Suite is a rather stately room, offering a carved mahogany queen-size bed with step stool, a shimmering fireplace, and round table with side chairs. 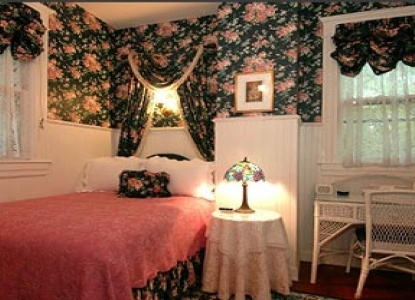 The soft music in the room reaches the depths of the combined claw foot tub and shower, while the main room stays aglow in a "Gone with the Wind" decor scheme. 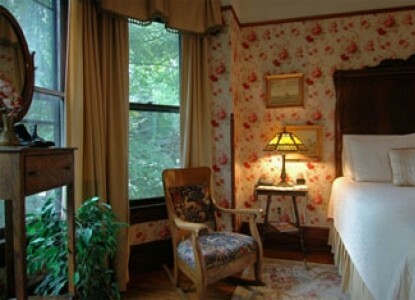 Located on the second floor, The Bosse-Bryan Room is our coziest, most intimate room in the Inn, based on its quaintness. 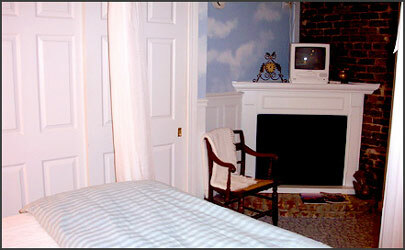 This room is graciously decorated in navy blue chinz wall covering and is furnished in white wicker furniture. 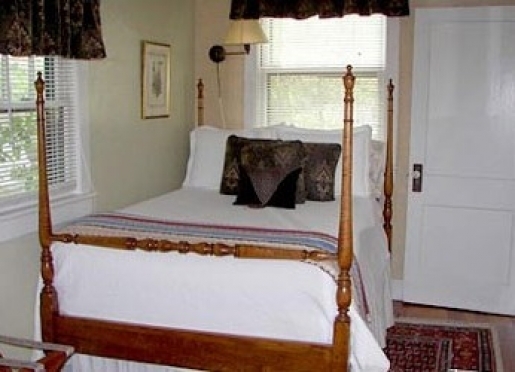 The bed is a Double in size and perfect for those who enjoy cuddling, or for the solo traveler. The bath is a combination of a claw foot tub and shower. 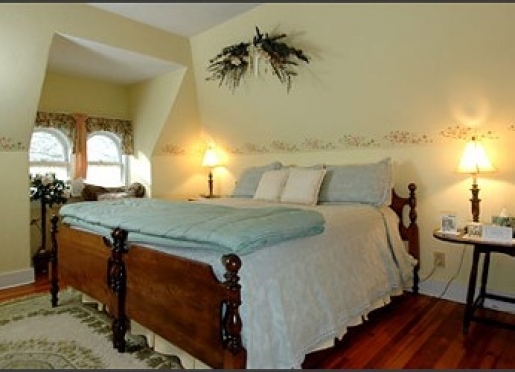 Located on the third floor, The Orr Room is a spacious room with a beautiful wood floor, that offers a King size bed, or two Twins, if so desired. 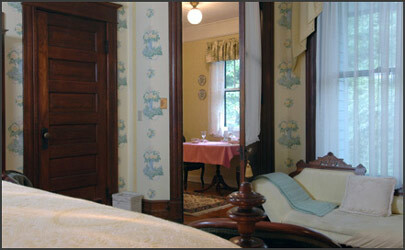 There is a large turn-of-the-century mirrored armoire that houses two fluffy robes for your convenience. 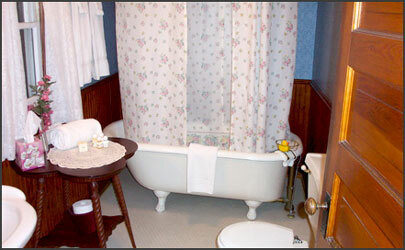 The claw foot tub and shower are located across the sitting room for your private usage. This is a fitting location for total relaxation. 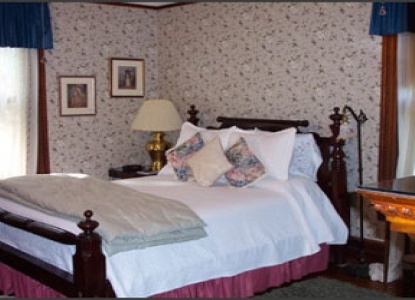 Located on the third floor, The Hampton Room is designed for those who enjoy a quiet lazy afternoon and a romantic evening. 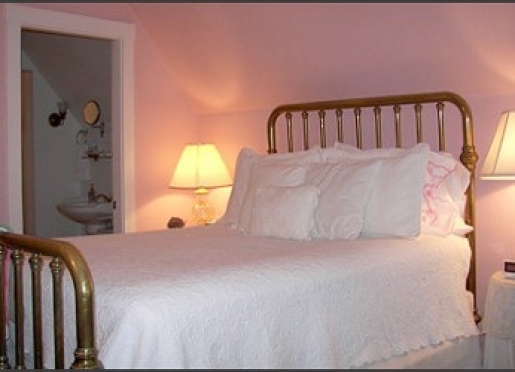 This brass queen sized bed is covered in quilted elegance and has all the comforts of home. This room is at eye level with the tallest of trees. 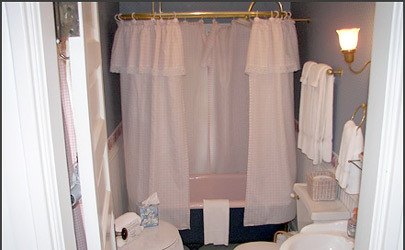 For your enjoyment, the room is equipped with a combined tub and shower. 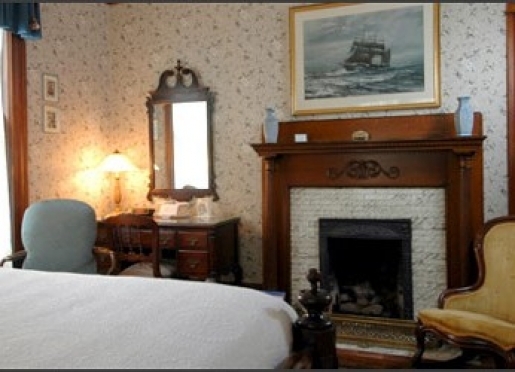 Located on the third floor, The Steven-Van Winkle Room provides a tranquil retreat and great hideaway from today's hectic pace. 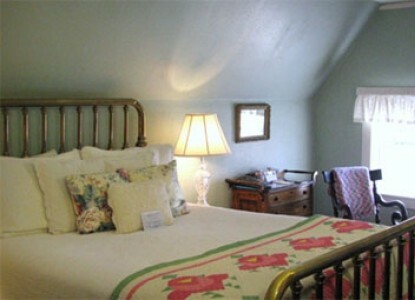 This queen size bed and comfy surroundings is gentile in its setting and offers a reserved place to unwind. 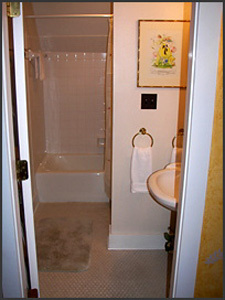 The combined shower and tub are just across the sitting room. 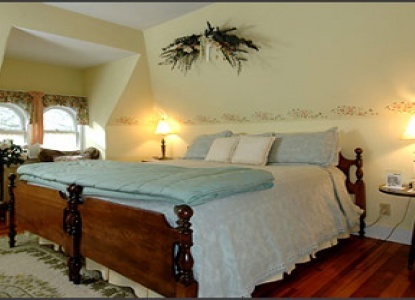 Located on the garden level, The Celebration Suite, with its many features, offers a private entrance, glowing fireplace, two-person Jacuzzi, in-room refrigerator and gourmet coffee maker. 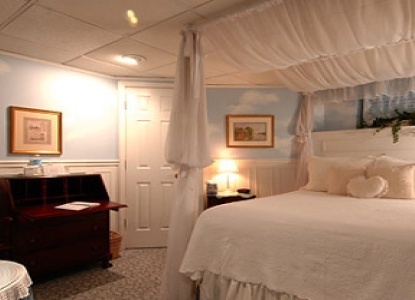 This romantic haven has a queen size bed draped in white satin and a canopy top. 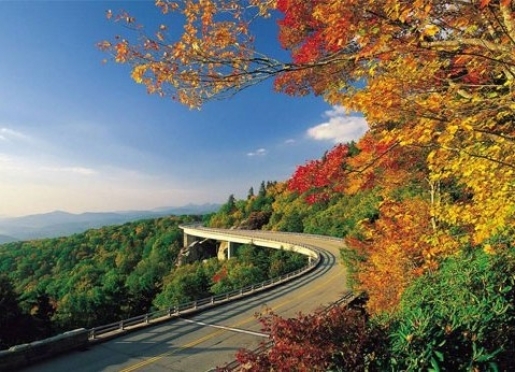 The perfect place to become re-acquainted! 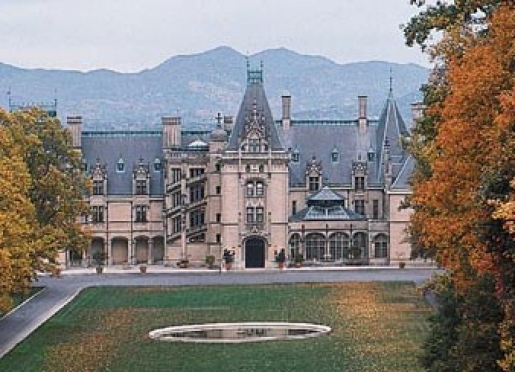 Established on the National Historic Register of Historic Places. 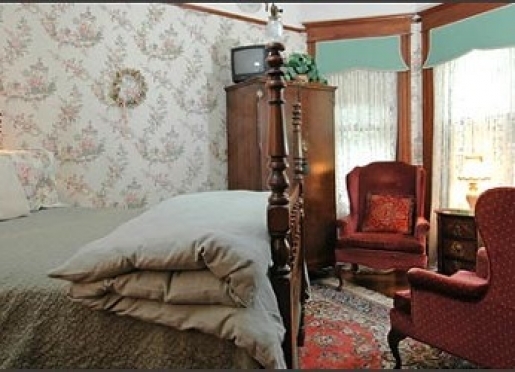 This quaint Victorian house is well designed for families or couples who are seeking private, comfortable surroundings. 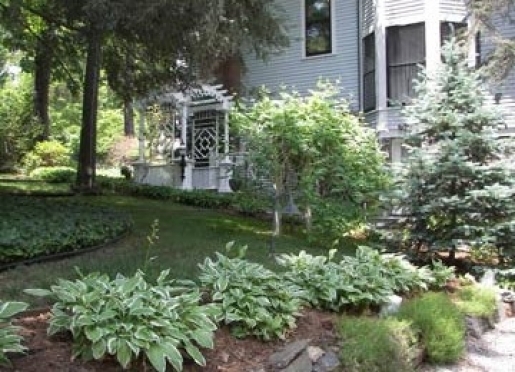 Among the flower beds and garden patio is a picnic area, where late afternoon gatherings are often the main attraction. The house consists of three bedrooms, two full baths, a living room, dining room, and galley kitchen. A continental breakfast is provided each day. 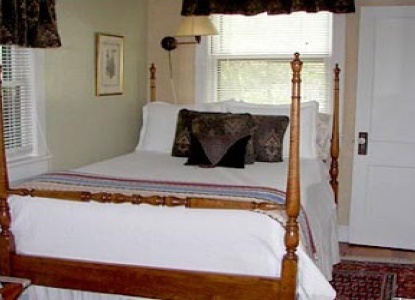 Conveniences include two queen beds, one full bed, telephone, cable television, wireless internet and sound system. Children of all ages welcome. It must be understood that your deposit insures that your accommodations will be available as confirmed and also insures us that the accommodations are sold as confirmed. Therefore, when situations arise that necessitate your cancellation less than fourteen days in advance, we most certainly do sympathize, but we must maintain a business policy. Unless the room is reserved by another party, your deposit will not be refunded. 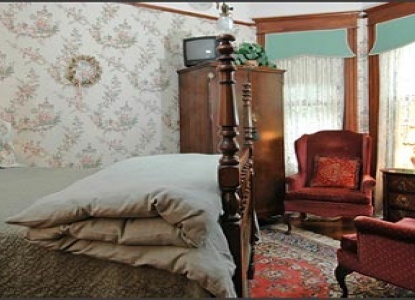 Thank you for making an inquiry about staying at 1899 Wright Inn and Carriage House.